Have a look at the resources offered here. If you aren’t sure what to do with something, just ask! 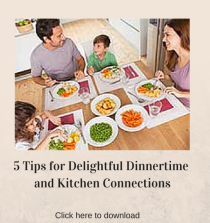 5 Tips for Delightful Dinnertime and Kitchen Connection! Is the evening meal at your house a chaotic disaster, or a time to take a breath, reconnect, work together and have some laughs? If you’re after the latter, grab this article and give a few of the tips a try! Nothing but your time. 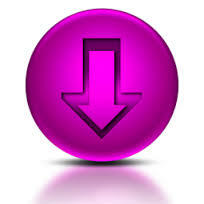 The download is my gift to you. Beef up your parenting foundation! A key foundation to your kids’ growth is the relationship they observe most – that of you and your partner! Enhance yours today! Choose a place and time where and when you’d like to discuss the juicy stuff. Commit to a specific amount of time. Decide upon some discussion “rules” beforehand and don’t be afraid to add to the list or amend the rules if need be. The point is to keep the discussions going. Choose to discuss one a day or one every other day, but make meaningful discussion a habit. Find a way to make it fun for you both.